This week I had the opportunity to testify at a hearing of the U.S. Senate Committee on Health, Education, Labor, and Pensions. The hearing was titled “Making College Affordability a Priority: Promising Practices and Strategies.” This committee of the Senate, long chaired by Senator Ted Kennedy of Massachusetts until his death a few years ago, has held a number of hearings on the topic of college affordability in recent years in response to concerns raised in the media, by students and parents, and by policymakers at the state and federal level. The committee is now chaired by Senator Tom Harkin of Iowa, with Mike Enzi of Wyoming the ranking minority member. The hearing came in the middle of a vacation I had planned in New York City, where I was attending a number of Broadway shows. This was certainly a very different type of theater experience. This was my first time testifying to a Senate Committee; my three previous trips to Capitol Hill as a witness were on the House side of the Capitol. I was joined on the panel by three college presidents: Steven Leath of Iowa State University, Jim Murdaugh of Tallahassee Community College, and Thomas Snyder of Ivy Tech Community College in Indiana. Also on the panel was Carol Twigg, president of the National Center for Academic Transformation. Today, former FBI Director Louis Freeh released his investigative report into the Jerry Sandusky scandal at Penn State. In some ways, my time there seems like it is a long way in my past, but in others it’s still very fresh in my memory. The unfolding of the scandal less than two months before I left, and over the subsequent eight months, has kept me connected to my former employer in ways that I never would have anticipated when I accepted the job here at Michigan State. Today I published a commentary piece in The Chronicle of Higher Education about the release of the Freeh report and its findings. I won’t repeat what I said there; you can read it for yourself. Suffice it to say that reading the report, and then writing about what it means for Penn State, has saddened me a great deal. But I believe that the story needs to be told to ensure that these kinds of heinous crimes, and inaction on the part of the leaders of the university, are not repeated at Penn State or elsewhere. 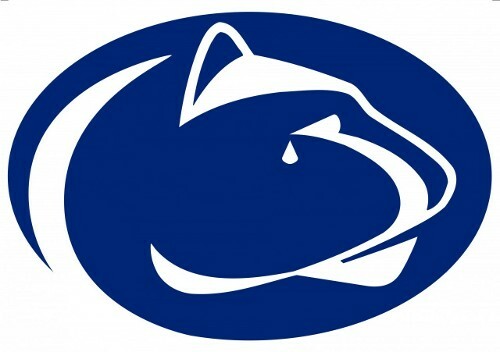 My thoughts are with the victims of the crimes and their families, as well as with all my friends and colleagues back at Penn State who will be dealing with the fallout of the scandal for some time into the future.